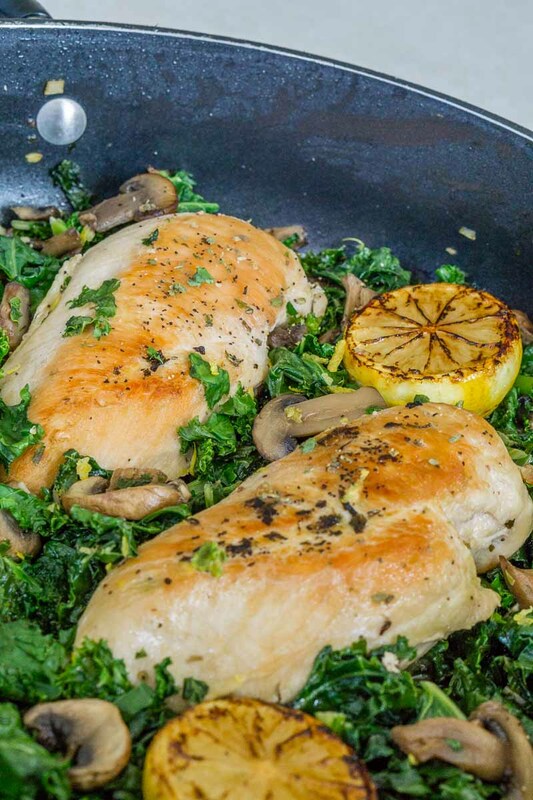 This one-pan Healthy Chicken and Mushroom Skillet with kale is ready in just 35 minutes with minimal cleanup. The lemony garlicky flavor of this dish will have you reaching for seconds! Healthy, delicious, and sure to please the whole family. 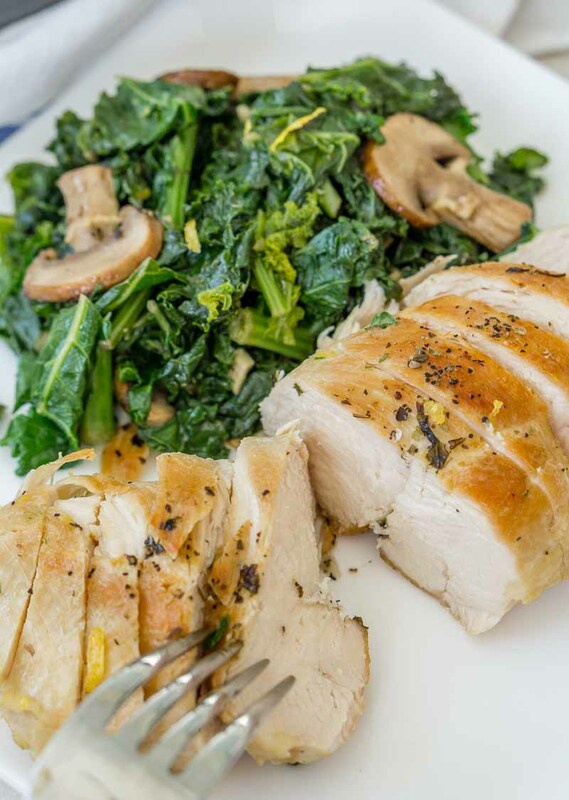 Chicken and mushrooms are some of the most used ingredients in healthy dishes, and adding kale to the mix just makes it better! Chicken breast is the leanest meat you can get, so you are already off to a healthy start if you decide to cook with it. And it is such a versatile ingredient – it goes with most seasonings, from the dry rubs to the sauces, from the savory and spicy to the sticky-sweet. And yet it is tasty enough to stand as a main ingredient without a ton of added ingredients – just some salt, pepper, and a dash of Italian seasoning is enough to flavor chicken breast. Mushrooms are loaded with minerals and vitamins such as selenium, potassium, vitamin B and vitamin D (in fact, mushrooms are the only vegan source of vitamin D). They are also high in fiber and low in calories. Kale is a nutrient powerhouse with so many vitamins and antioxidants packed into its dark green leafy goodness. What I love about cooking with kale is how much it cooks down. 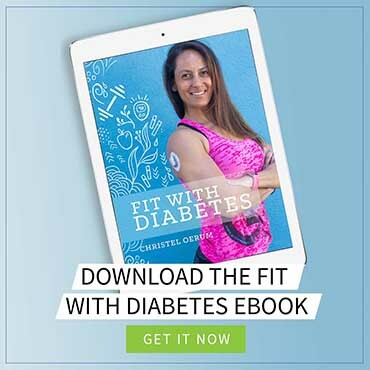 This makes it so easy to eat lots of greens – just a few bites of sautéed kale and you are eating the equivalent of several cups of kale. You’d never be able to eat so much of it if you were eating a raw kale salad! This recipe uses six cups of kale, and it cooks down to a manageable amount that is easy to split between four dinner plates. Healthy chicken and mushroom recipes always need just a little bit of seasoning to bring out their flavors. The main flavors in this dish are lemon-garlic with a bit of Italian seasoning. The herbs in the Italian seasoning are typically a mix of basil, oregano, thyme, marjoram, and sage. These herbs are perfect for flavoring chicken and they go so well with the whole lemon-garlic theme. Step 1 – Season the chicken breasts with Italian seasoning, salt, and pepper and are sear them over high heat for 5-8 minutes on both sides until they turn a gorgeous golden brown. Step 2 – Add sliced mushrooms, minced garlic, kale, and chicken broth to the same skillet and let everything simmer for about 10 minutes until the liquid is mostly evaporated. Step 3 – Remove from the heat and stir in lemon zest and juice. Add extra salt and pepper to taste. That’s it! A chicken and mushroom recipe that is ready in less than 40 minutes from the time to take the first ingredient on of the fridge. More lemon you say? No problem! 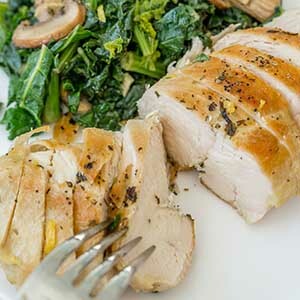 Chicken and kale recipes are great with lemon juice, as the lemon juice takes some of the bitterness out of the kale leaves. If you want to add a little extra something to this recipe, place a few lemon halves facing down into the skillet during the last few minutes of cooking. They will caramelize and release a wonderful fragrance! When they cool, you can squeeze extra lemon juice over the whole dish for an extra zing of flavor – the warm lemons will release their juice very easily, so be careful not to splash lemon juice all over the kitchen! This is one of our go-to dinner recipes because it is just so tasty, healthy, and gorgeous. I also love this recipe because of how easy it is to prepare in one pan. The cleanup is also super easy, especially if you can get your hands on kale leaves that are already cut and cleaned. So next time you’re out grocery shopping, pick up all the ingredients for this recipe, and you’ll be able to cook a beautiful, healthy chicken and mushroom dinner in less than 40 minutes! 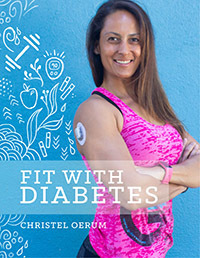 You can also check out my roundup of the best Healthy Diabetic Chicken Recipes for even more recipe inspiration! When you’ve tried this healthy Chicken and Mushroom Skillet, please don’t forget to let me know how you liked it and rate the recipe in the comments below! 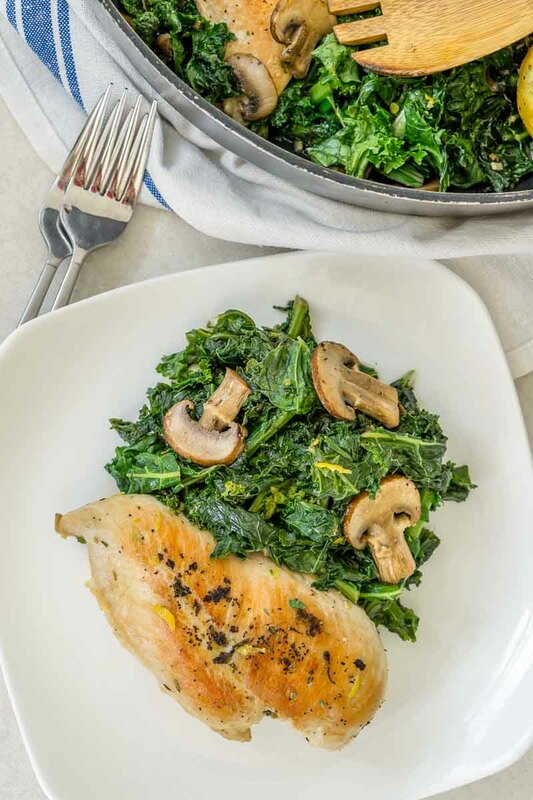 This one-pan Healthy Chicken and Mushroom Skillet with kale is ready in just 35 minutes with minimal cleanup. The lemony garlicky flavor of this dish will have you reaching for seconds! Season the chicken breasts with Italian seasoning, salt, and pepper. Heat the vegetable oil in a large skillet, and cook the chicken breasts over high heat about 5-8 minutes on each side, or until nicely browned. Add the minced garlic and sliced mushrooms to the pan and stir. Add the kale leaves and chicken broth. You might need to add half the kale leaves, wait until they cook down, then add the rest. 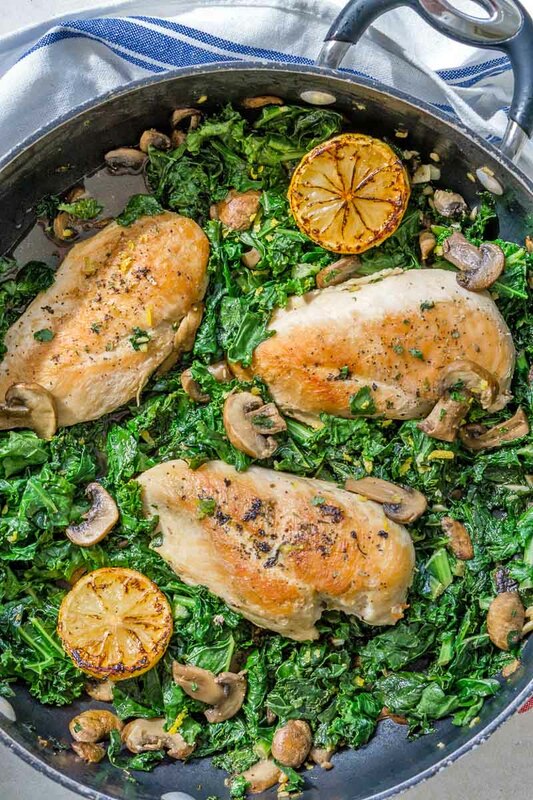 Turn the heat down and continue to cook, stirring frequently, for about 10 minutes or until the liquid is mostly evaporated, the kale is wilted, and the chicken breasts are fully cooked. Remove from heat and stir in the lemon zest and lemon juice. Season with additional salt and pepper, if desired. 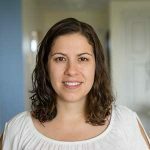 Kate Vaynshteyn runs the food blog Babaganosh.org, where she shares her favorite recipes for simple and wholesome dishes. She got into cooking when she moved out on her own after college and she loves trying new ingredients and cuisines. Kate was born in Ukraine, raised in Brooklyn, and lived in New Jersey for a while. She is currently living in the Bahamas with her husband, baby, and two cats and cannot wait to explore everything the Caribbean has to offer. I substituted spinach for the kale, and added some red pepper lice’s. It turned out very good, and very pretty with the different colors. Can I substitute Kale with Spinach? This was delicious! I added the option extra lemon you suggest and I think that made it extra good. Thank you for a great recipe.